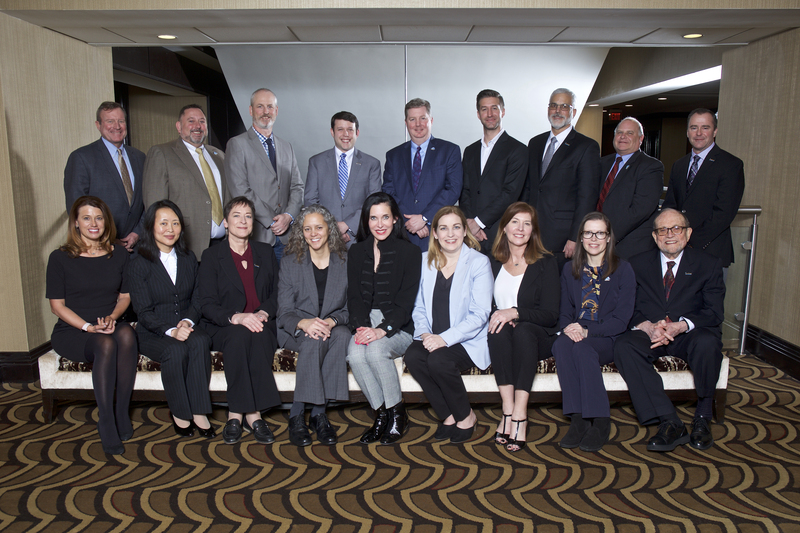 Introducing the 2019 Board of Directors. *headshots and information coming soon. The ICPHSO Board of Directors determines basic policies, sets goals and objectives, elects officers and approves the budget in accordance with the bylaws of the organization. Mintz, Levin, Cohn, Ferris, Glovsky, and Popeo PC, Washington D.C.
Based in Washington, DC, Matt focuses his practice on federal, state, and international product safety matters and related regulatory issues and litigation. He provides representation on compliance with product safety regulations, product safety incident reporting, imported products, recalls, civil penalty proceedings, investigations, and other regulatory and enforcement matters. Matt works with a variety of different clients on issues and matters before the US Consumer Product Safety Commission (CPSC) and other federal and state agencies. Matt previously served as the Chief of Staff of the CPSC from 2010 to 2013 and as the Chairman’s Senior Counsel in 2009. While working at CPSC, Matt played a leadership role in the implementation of the rules, regulations, and policies associated with the Consumer Product Safety Improvement Act, landmark legislation that revitalized and transformed the agency. He provided legal and policy counsel to the Chairman on the implementation of third-party testing and tracking label requirements for children’s products, the new civil penalty rules, the creation of the SaferProducts.gov public database, the new limits on lead and phthalates, the requirements for certificates of compliance and laboratory accreditation, the new standards for durable infant nursery products, and numerous high profile compliance and enforcement actions. Rick Rosati is the Vice President of Government Affairs and Industry Standards in the Americas at Bureau Veritas Consumer Product Services (BVCPS). His primary responsibilities are to lead the companies Technical Services Team in monitoring and communicating legislative and regulatory activity, participating in pertinent standards development activity, supporting client and program development and supporting industry activities and trade shows. Rick has been with Bureau Veritas for 19 years. Previous to his current role, Rick was the Director of Technical Services for Toys, Juvenile Products and Hardlines, he managed testing operations in Buffalo, NY and started with BV as a Product Test Engineer. Rick is currently the President Elect on the Board of Directors for the International Consumer Products Health and Safety Organization (ICPHSO). He also actively participates in several ASTM standards-development subcommittees and is the Chair of the F15.90 Executive Committee for Consumer Products and the ASTM F15.42 subcommittee on furniture tip over and safety. Rick is also on the ASTM Award of Merit Committee and the Committee on Technical Committee Operations (COTCO). Rick is a member of The Toy Association (TTA) and the Juvenile Products Manufacturing Association (JPMA). Andy Church founded Insight Quality in 2014 after 12 years living in Shenzhen, China and working in the quality assurance testing and supply chain support industry. Headquartered in Dallas, Texas with Chinese operations in Hong Kong, Shenzhen, Yiwu, and Qingdao, Insight provides companies sourcing in Asia with a well-supported team that can take care of overseas sourcing and quality inspection needs. Whether it’s a short-term emergency or a long-term QA strategy, Andy and his team can serve as your boots on the ground and partner in Asia. He has over 20 years of experience with the ins and outs of product development, manufacturing, social accountability, and quality assurance. Belinda May is President and a member of the ICPHSO Board of Directors who practices in Dentons' consumer products, regulatory, and litigation groups. She is a partner in the firm's St. Louis and Washington, D.C. offices and specializes in regulatory and contested proceedings arising in connection with the design, manufacture and sale of consumer products. Ms. May has a wide range of experience in consumer products law that involves the entire life cycle of a product, including product design, development, manufacturing, production, sales and reverse logistics. Ms. May's experience involves an array of topics such as regulatory compliance and product recalls, performance claims, packaging, advertising, supply chain analysis, products liability, regulatory challenges and contested proceedings with competitors. She is a frequent speaker and author on these topics. Ms. May received her JD from Washington University School of Law, where she was a member of the Washington University Law Review. In addition, she is a graduate of the Product Safety Management program at Saint Louis University's John Cook School of Business, Center for Supply Chain Management and is an instructor for the program. Anja is an EU lawyer and Senior Compliance Manager Specialist at LEGO System A/S in Denmark, the head office of the LEGO Group. In this role, she manages internal processes to ensure compliance with product safety requirements worldwide. Anja specializes in product safety requirements for toys and consumer products and is responsible for the transition of external product safety demands to internal operations as well as compliance support to the markets in Europe, the Middle East & Africa. Anja is a member of the Toy Safety Committee under Danish Standards. Before joining the LEGO Group, Anja worked as an attorney and counseled a wide range of clients, including consumer organizations and global manufacturers, and served as in-house counsel for Toyota. Xiao is the Vice President Product Assurance Safety at Intertek, where she advises manufacturers, retailers, governmental agencies and standard development organizations on hazard analysis, risk assessment, and risk communication. Her specialty resides in both food and non-food consumer products. Her primary areas of focus have been safety management strategies, safety program establishment, implementation, and optimization. Dee is the Executive Director for the Quality Certification Alliance, the only not-for-profit, third party validated, manufacturing best practices accreditation program focusing on the promotional products industry. QCA regularly benchmarks with other established programs and is recognized for fostering developments that have transformed the promotional products industry. With 30+ years in manufacturing and import, Ms. Fenton has extensive experience as a retailer, manufacturer and importer implementing processes for control and reduction of nonconformity. An avid outdoors person, she enjoys adventure travel with her husband. BRIAN GROCHAL is the Digital Innovations Manager at UL, combining his knowledge of big data, machine learning, and other technologies with firsthand compliance and quality experience. He spent the majority of his career managing compliance for medium-sized children’s products brands: Maclaren and 4moms. During his time at these companies, he built and executed global compliance strategies, led the expansion of products into more than 50 countries, and directed corrective action projects to improve product quality and performance. Brian currently serves as the chairman for the ASTM children’s chairs and stools standard (F2613) and remains heavily involved in the child product safety community. At UL, Brian leads UL’s digital transformation in the consumer product space. Specifically, he conceptualizes and develops new digital/data solutions aimed at improving the way that companies manage product compliance and quality. Don Huber has 35+ years as a product safety professional, with extensive experience as a product safety, quality assurance, and product integrity manager. Don is currently Director, Product Safety for Consumer Reports. The Consumer Reports Product Safety Team engages in safety-related testing and research to uncover current and emerging product safety issues, and works with editorial staff to provide the necessary information to consumers to empower them with the information they need to keep themselves and their families safe. Before joining Consumer reports, Don held the position of Manager, Product Safety and Quality at Deloitte and Touche LLP. Prior to joining Deloitte, Don held the position of Director, Product Integrity at Evenflo Company, and before that was Sr. Project Engineer, Reliability at Hasbro Incorporated. David Kosnoff is Vice President Quality Assurance for Hasbro Far East, Ltd, the global development and sourcing arm of Hasbro. Based in Hong Kong, he leads teams responsible for Quality Engineering, Vendor Quality Management, Chemical Compliance, Asia Product Regulatory, and Quality Policy and Procedures. Mr. Kosnoff is a mechanical engineer with extensive experience in quality, product safety, operations, supply chain, and EH&S. He previously led the Product Compliance team at Amazon, managing the compliance and safety of over 6 billion unique items. Prior to that he served as the SVP of Global Quality and Regulatory Compliance at Mattel. Mr. Kosnoff is Sr. Member of ASQ and a member of ASTM . He received his B.S. from Purdue University and his Executive MBA from the University of Wisconsin. Len Morrissey is the Director of Global Business Development and Strategy with ASTM International, one of the largest voluntary standards development organizations in the world. Len is responsible for the identification and development of new business opportunities and ventures across ASTM’s full spectrum of products and services. He leads a team that creates and executes innovative, strategic organizational initiatives based on market trends, national/international priorities, emerging technologies, marketplace challenges and innovation. Since joining ASTM in 1995, Len has served in a number of leadership roles in the Standards Development Division, ultimately directing a team that managed the standards activities for diverse portfolio of over 50 global industry sectors. From 2007-2018, he also oversaw all operational, strategic and regulatory initiatives related to the safety of consumers for a wide range of product categories. In this capacity, he worked closely with lawmakers, industry, regulators and consumer stakeholders to develop needed solutions to complex international trade and regulatory issues. He currently serves as a member of the Board of Directors for the International Consumer Product Safety Organization (ICPHSO) and sits on the Standards Development Organization Advisory Committee under the auspices of the Standards Council of Canada (SCC). A graduate of the Pennsylvania State University, Len holds a bachelor of arts degree in Letters, Arts and Sciences with additional concentrations in Business and History and a masters degree in Public Administration (MPA) from Villanova University. David is a product safety consultant who specializes in matters involving the U.S. Consumer Product Safety Commission. He held the key position of Director of Compliance for the U.S. Consumer Product Safety Commission (CPSC) for twenty years. His clients are mostly moderate and small retailers, vendors and importers of consumer products with CPSC legal and enforcement problems. He is currently retained as a Senior Advisor to Stericycle, a company that specializes in product recalls and disposal of recalled products and materials. He is Of Counsel for CPSC issues to the New York City law firm Phillips Nizer. Rebeca Sharpe is the Senior Manager of Product Compliance & Safety for Best Buy. She is a subject matter expert on product recalls including system design, process development, reverse supply chain logistics, and oversight of business operations execution. Rebeca has 6 years of experience in retail management and has devoted the last 7 years to product safety and compliance. Prior to her career in retail, Rebeca spent 12 years in Human Resources management, earning an SPHR certification, and worked as a Project Manager at various large corporations in the Minneapolis St. Paul area. Rebeca lives in Minneapolis and has a degree in Architecture from the University of Minnesota. Matt Smith is the Founder of ICIX, where he is responsible for determining the company’s vision and cultivating strategic relationships. A recognized authority in supply chain risk management and product safety, he works with governments and advocacy groups to determine and champion industry-wide supply chain solutions. His expertise includes food and product safety, supply chain compliance, corporate social responsibility, government regulation, testing, inspection, and certification inquiries. Matt is passionate about food and product safety, helping companies address global supply chain challenges and protecting brand integrity. In pursuit of his passions, he has built strong relationships with a variety of industry, government and advocacy groups. Kami has been with Just Between Friends Franchise System, Inc. since it began franchising in 2004. Just Between Friends (JBF) is North America’s leading children’s and maternity consignment sales event franchise with over 150 locations across thirty states. Kami stands out as the only on-staff safety and recall professional in the children’s and maternity consignment event industry. Her vast knowledge of product safety and recalls has led to her distinction as the product safety expert for the secondhand market. Above all, Kami is passionate about keeping children safe through her work with JBF and as a CPST with Safe Kids. She is an Oklahoma native who has lived in Jenks most of her life. Eli Szamosi is an independent consultant. With over 35 years of experience in risk assessment, product compliance and performance evaluation at CSA Group, he relentlessly strives in sharing product safety knowledge with a passion for developing new and innovative solutions. As a dedicated (ICPHSO) International Consumer Product Health and Safety Organization volunteer member for over two decades, Eli has been a key contributor to the Symposium Planning and Membership committees. He is a valued member of several product safety Standards committees for ISO, CSA, and works closely with consumer organizations, suppliers, government departments and safety professionals. In his spare time Eli finds solace working on his farm in Niagara. Geoff Barrett is currently the Acting Director General of the Consumer Product Safety Directorate (CPSD) of Health Canada. In this role, Geoff is responsible for the assessment, management and communication of health and safety risks for all consumer products and cosmetics in Canada. In Geoff’s substantive role as the Director of CPSD’s Risk Management Bureau, he is responsible for the development and implementation of risk management approaches including the oversight of voluntary standards, development of regulations, and coordination of Canada's national compliance and enforcement program for consumer product and cosmetic safety. While Geoff has been with Health Canada since 2004, he recently returned in 2016 from a 2 year assignment with the Government of Canada’s Privy Council Office where he was responsible for working with Canadian federal regulators to strengthen regulatory alignment efforts. Rod Freeman is an International Products Lawyer. He is routinely ranked as a leading product litigation lawyer in the major legal directories, where he is described as “the outstanding go-to specialist for product liability matters”, “without a shadow of a doubt the most knowledgeable product liability lawyer in the European space” and where it has been said that he is "a real technical expert with knowledge of all the latest developments, and an enormously instinctive feel for the law". Rod works alongside the world's leading and most innovative global companies to help them solve their product-related issues, protect their reputations, defend their products and build more successful businesses. With a background in high-stakes product liability litigation and more than 20 years devoted to international products law, Rod understands the challenges faced by international brand names in an increasingly risky global environment. He has the experience and insight to find creative and practical commercial solutions to product issues around the world. Rod leads a team that defends product liability litigation, handles product-related B2B disputes, manages and resolves product safety and regulatory compliance issues, launches products, and manages international product recalls. In short, Rod helps his clients find solutions to their issues that arise throughout the product life cycle. Rod is deeply embedded in the product liability and product safety community internationally, often working with policy-makers to help shape the future of product liability and product safety regulation.